The founders of the Wisconsin Bituminous Paving Association drafted and ratified the organization’s constitution on December 13, 1948. On December 28 of that year, the WBPA officially incorporated. The purpose of the organization was twofold: to promote quality of hot mix asphalt pavement and to act as a public relations liaison with all units of government and the private sector. Walter Bechthold, Payne & Dolan, Inc.
Walter Bechthold was the first President; J.E. Schultz was the first Secretary/Treasurer. 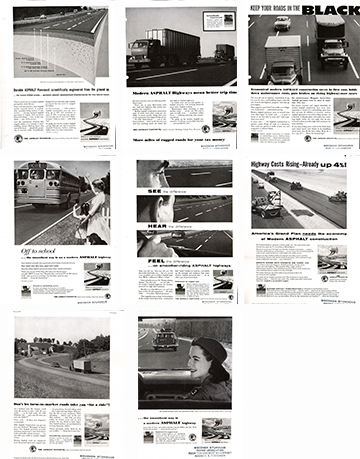 The organization remained relatively inactive for a decade, but with initiation of the Interstate Highway System under President Eisenhower’s in 1956, Wisconsin’s asphalt industry was poised to take an active role in new highway construction in the state. WBPA was reorganized and revitalized at Madison’s Park Hotel in 1956, Mike Hayes was selected President; R.L. Miller became Vice President, and L.W. Kahl became Secretary/Treasurer. At that time, Ed Konkol was appointed the first full-time Executive Director of the WBPA. 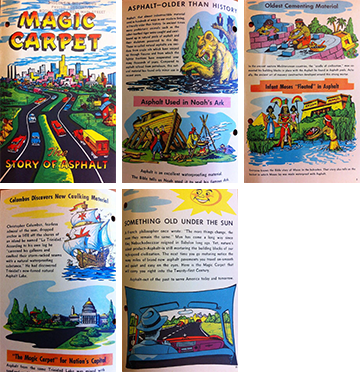 This marked the beginning of active representation of the asphalt industry in Wisconsin that continues to this day. 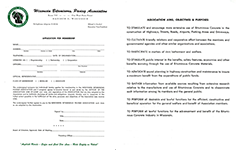 An amendment was made to the Articles of Incorporation on April 13, 1965, changing the organization’s name to its current form: the Wisconsin Asphalt Pavement Association. 1966 Bruce Schultz Rein, Schultz & Dahl, Inc.
1967 Bruce Schultz Rein, Schultz & Dahl, Inc.
1974 L.W. (Bud) Kahl Rein, Schultz & Dahl, Inc.
1975 L.W. (Bud) Kahl Rein, Schultz & Dahl, Inc.
1976 Ned Bechthold Payne & Dolan, Inc.
1977 Ned Bechthold Payne & Dolan, Inc.
1978 Charles F. Mathy Mathy Construction Co.
1979 Charles F. Mathy Mathy Construction Co.
1980 Donald J. Beaudoin Wm. Beaudoin & Sons, Inc.
1981 Donald J. Beaudoin Wm. Beaudoin & Sons, Inc.
1982 Tom Linnan L & W Construction Co., Inc.
1983 Tom Linnan L & W Construction Co., Inc.
1986 Don Lang Lang Engineering Company, Inc.
1987 Don Lang Lang Engineering Company, Inc.
1988 Ervin Benish Payne & Dolan, Inc.
1989 Ervin Benish Payne & Dolan, Inc.
1990 Robert J. Kennedy, Sr. Rock Road Companies Inc.
1991 Robert J. Kennedy, Sr. Rock Road Companies Inc.
1992 Joe Teglia Paving Mix & Construction Co., Inc.
1993 Kent Pitlik Pitlik & Wick, Inc.
1994 Kent Pitlik Pitlik & Wick, Inc.
1995 Steve Kennedy Rock Road Companies Inc.
1996 Steve Kennedy Rock Road Companies Inc.
1997 Steve Kennedy Rock Road Companies Inc.
1998 Jeffrey Miller R.W. Miller & Sons, Inc.
2000 Larry Usack Northeast Asphalt, Inc.
2001 Brian Pitlik Pitlik & Wick, Inc.
2002 Brian Pitlik Pitlik & Wick, Inc.
2003 Rick Schmidt Payne & Dolan, Inc.
2004 Steve Kennedy Rock Road Companies Inc.
2005 Steve Kennedy Rock Road Companies Inc.
2006 Rick Schmidt Payne & Dolan, Inc.
2007 Brian Pitlik Pitlik & Wick, Inc.
2008 Jeffrey Miller R.W. Miller & Sons, Inc.
2009 Steve Higgins Payne & Dolan, Inc.
2011 Dustin Gradel Tri-County Paving Inc.
2012 Brad Pitlik Pitlik and Wick, Inc.
2013 John Bartoszek Northeast Asphalt Inc.
2015 Steve Kennedy Rock Road Companies Inc.
2016 Brian Endres Payne & Dolan, Inc.
2017 Brian Endres Payne & Dolan, Inc.
Click any image to open. Dillman Equipment supplies the asphalt industry with a complete line of asphalt plant equipment including asphalt storage silos, DuoDrum counterflow drum plants, coldfeed systems, recycle systems, baghouses, dust silos, air pollution control systems portable asphalt plants, drag slats, transfer conveyors, plant controls, control houses, self erect silos, asphalt storage tanks, parts, used asphalt plant equipment and field services.